Dovpo Topside One of the most beautiful regulated power mods I have had so far. Mods Quality is phenomenal. Very simple for use, there are no too many options. With the Mod, you get a spare silicone bottle in case of some mistake with the already installed bottle. Very fast delivery, on the 21.3 was sent and on 23.3 had it on me. Customer service is one of the best on this online buying. They are very kind and responding to an email as soon as possible. We have had some disagreement but we have solved it all in a normal way. Also the package was preserved, very good and safe packing to avoid any damage. Well done BuyBest, you proved to be a real serious firm. 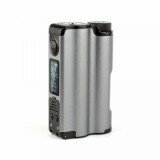 The Dovpo Topside 90w is a collaboration between the Vapor Chronicles and DOVPO. Powered by single 21700 battery or 18650 battery with an adaptor, the DOVPO Topside can fire up to 90W max output with switchable VW/TC/Bypass mode. And The Topside MOD is also equipped with a 10ml large e-juice silicone bottle with easy cannon filling design, which can effectively prevent e-juice leaking. 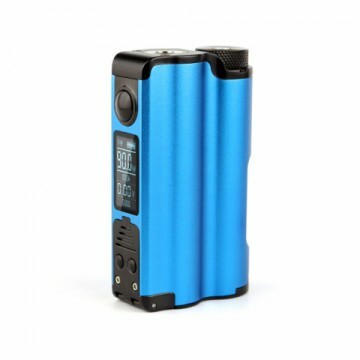 Plus the 0.96 inch OLED screen and large fire button, it will be very convenient that operate the DOVPO Topside Squonk MODE. I would recommend this page for use. They have the best offers on an online trade. They make a lot of offers for very little money compared to other pages. Every batch product is newer and they have no problems. One of the more quality powers I've used so far. The Only thing that bothers me is that there is no control of light display, because the innate is too strong somethimes, and there is no stealth mode. 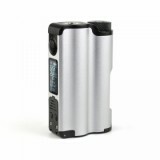 But The mod is very easy to use, filling up from above puts it at a great disadvantage compared to the other Squonker mods. I'd recommend this mod, especially this page. I'll keep shopping with you, I'm glad to be your customer. I wish you All the best BuyBest in future business, and I will definitely return to this page. It's fast. It adds bottles. It's the best. When I got this mod, I was pretty impressed with the design. I really like the top-fill of the squonk bottle — it’s a great and innovative idea. This is no doubt a big and heavy mod, which makes it feel solid and well-built. 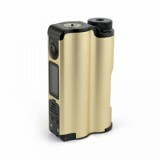 The DOVPO Topside Squonk MOD is a collaboration between the Vapor Chronicles and DOVPO. 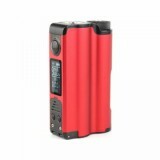 Powered by single 21700 battery or 18650 battery with an adaptor, the DOVPO Topside can fire up to 90W max output with switchable VW/TC/Bypass mode. And the Topside MOD is also equipped with a 10ml large e-juice silicone bottle with easy top filling design, which can effectively prevent e-juice leaking. 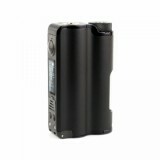 Plus the 0.96 inch OLED screen and large fire button, it will be very convenient to operate the DOVPO Topside Squonk MOD. • No 21700/18650 battery included. You need buy it separately.